Meteor House » Josh Reynolds – Interview! 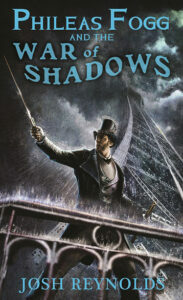 It turns out Josh Reynolds, author of the third in our series of Signd Limited Edition Novellas, Phileas Fogg and the War of Shadows, is a rather prolific writer. How prolific, you ask? Rather than tell you about it here, let us direct you to his interview over at the Official Philip José Farmer Website. It’s the fifth interview in thier long-neglected (nudge nudge) series of interviews with writers influenced by Philip José Farmer. The latter is one of the reasons I still re-read Farmer to this day—he’s so damn exuberant about all of these authors that you can’t help but feel your enthusiasm for the originals rekindled when you read something of his that references them. Plus, you know…Phileas Fogg. Dude’s pretty cool, right? Who wouldn’t want to write about him? It is almost a certainty that such will occur at a future date. The Exposition was a big deal, lot of people there. Probably at least four novellas going on at the same time. One of ‘em probably involves a robot. 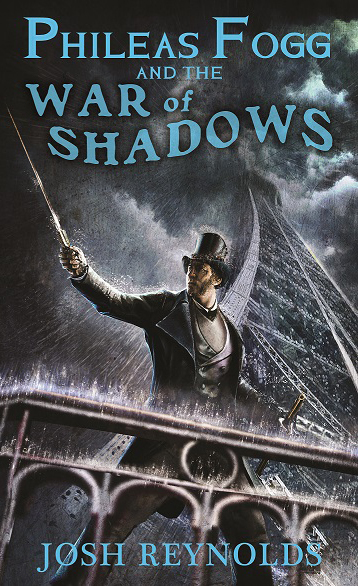 It’s certain to whet your appetite, not only for Phileas Fogg and the War of Shadows, (which you should preorder now, while you still can…) but for Josh’s other work as well. There are even links to stories you can read for free online! Comments Off on Josh Reynolds – Interview!